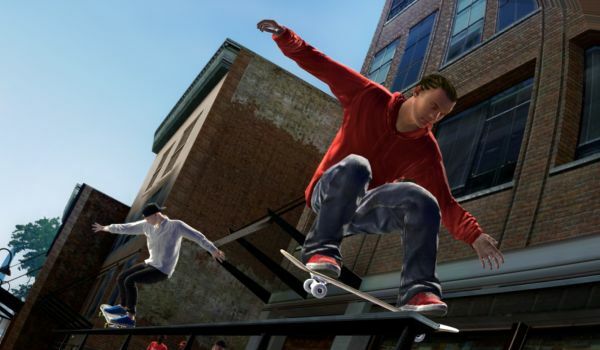 Skate 3 plans to do co-op a bit differently, by allowing you and friends to form teams of skaters to complete challenges, build skate parks, and capture highlights of each others sick tricks. Offline and online modes will be blended together seamlessly so there's never any downtime in your rail grinding weekends. What's this? A stealth game with cooperative play? The father of the modern day tactical stealth game is redifining it again in Metal Gear Solid Peace Walker. 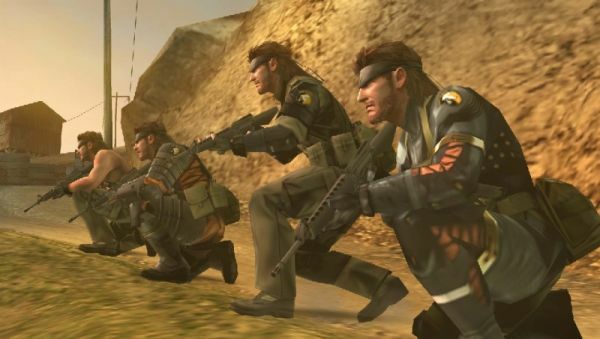 Snakes will need to time their stealth kills, use special co-op moves, and communicate effectively - or risk being discovered in Kojima's latest game. Co-Op is only available over AD-HOC wireless, but we hope for AD-HOC party support as well. We're pretty sure there's going to be lots of great moments involving weather balloons after playing the demo. While the first Lost Planet was all about staying warm in a snowy environment, Lost Planet 2 is all about cooperative play. 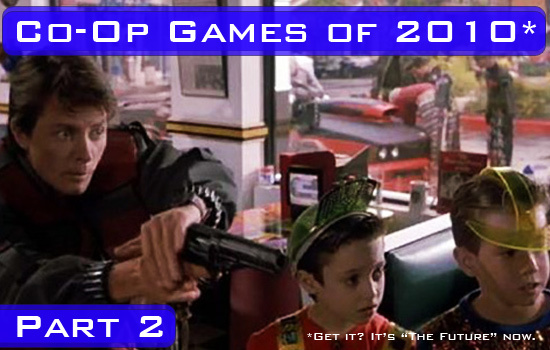 The entire game from start to finish is available in co-op with up two four players. 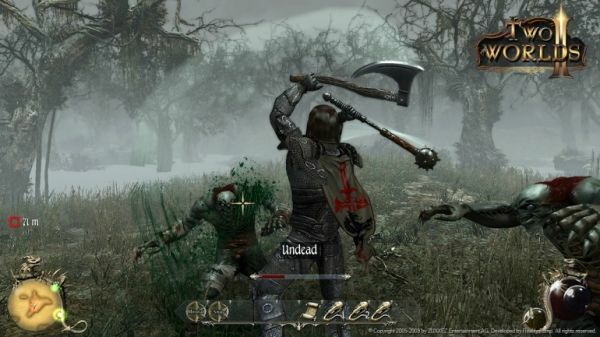 Players can customize their character to create a unique looking avatar in the game with specific powers. 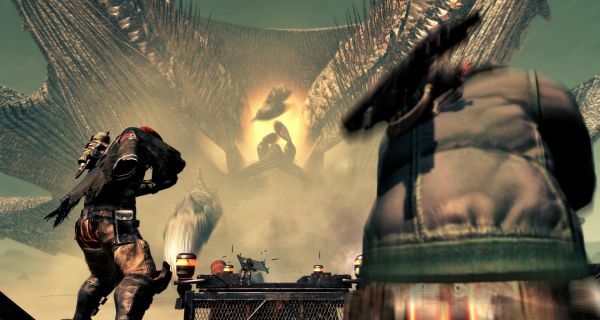 The highlight of Lost Planet 2 is going to be the giant boss battles where players can attack giant creatures from all sides - even inside. Lets just hope they don't poop you out into a bottomless pit. 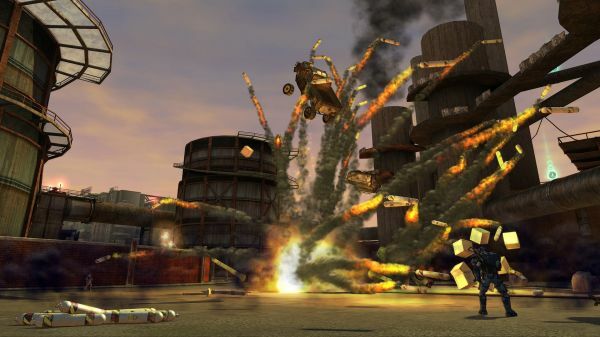 Crackdown garnered a cult following when it was released, no doubt a side effect of it's incredibly addictive co-op campaign. Crackdown 2 looks to expand the original in every way, including four player campaign co-op and an 8 player survival style mode. The real fun in Crackdown was always from the unexpected happening, and with plenty of new weapons and items, things may even get more over the top. I'm going to go on record and say using a car as a slingshot to launch anything in the way is going to be the most fun I have in gaming this year. The original Two Worlds, to put it lightly, should have stayed in the oven for a few months or years longer. Despite that, gamers found the co-op mode addictive in this action RPG, calling it "Co-Op Olbivion" in some cases. The sequel is already looking more polished than the original, and the developers have stated a strong support co-op play once again. Just how many and what kind of co-op is unconfirmed at this time. While the original Kane and Lynch received mixed reviews, the sequel looks to correct a lot of the issues with the original. 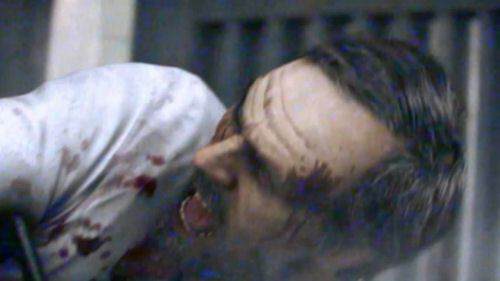 Kane and Lynch 2: Dog Days hits this summer with a return to the co-op roots that made the first one so interesting. This time Lynch leads the duo in Shanghai China in a gritty underground world of crime and corruption. The online fragile alliance mode is back as well, where players need to work together to complete a heist. Page created in 0.5322 seconds.